House cleaning and home cleaning can be fun and healthy when using the right products in cleaning. Green cleaning or environmental safe cleaning is a smart and healthy way to clean a house or office the safe, nontoxic way. This cleaning method uses environmentally-friendly ingredients to help preserve health and the environment. These products are available for sale at several stores; however, there are home-made recipes which can be used for the kitchen, bathroom, etc. Safe cleaning is a single step taken to lessen the harm to the environment brought about by modernization. 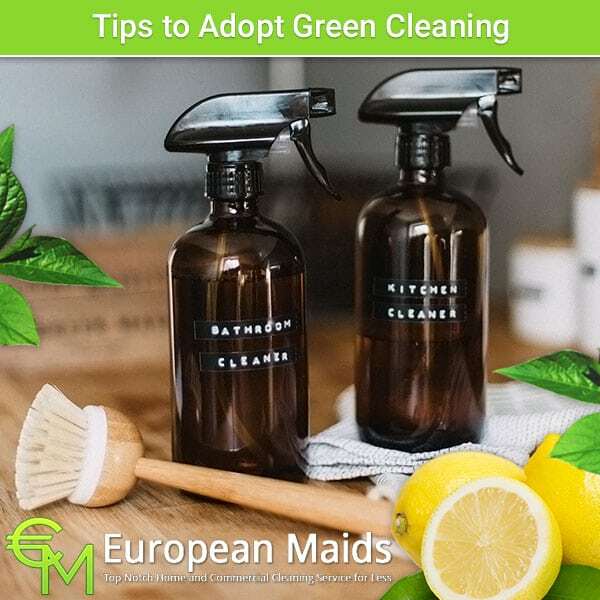 Some people refer green cleaning as the use of all natural cleaning materials like lemon, baking soda and vinegar to do office and house cleaning. These three ingredients are the best cleaning products for the kitchen which are highly affordable. Baking soda is remarkably effective bleach and can be used to remove stains and scours in surfaces. It is an effective deodorizer too. Similar to baking soda, vinegar has deodorizing ability. It also cleanses and disinfects; however it should be diluted because too much acidity can destroy tiles and other surfaces. Lemon is another cleanser and deodorizer. It effectively removes water deposits and soap scums. There are several safe products which are available in the market and are ready for use. These commercial green cleaning products are recommended when doing office or house cleaning. Most offices do not have a kitchen thus home-made mixtures are not available and inconvenient to make. There’s nothing wrong with buying a commercial environmental clean product. An advantage of using commercial green cleaning products is that it is ready to use without the hassle of mixing and measuring. In fact, commercial cleaning products clean as effective as homemade products with fewer scrubs or effort. With the increasing demand of environmental safe products, numerous manufacturers are packaging their products to be green whether it is truly green or not. A cleaning product may claim to be eco-friendly. There could be enough natural and organic ingredients to pass the government standards to qualify to be green, but when counterchecked, the product is not as healthy as its label suggests. A commercial cleaning product considered “green” comes from natural or bio-based elements. This means that the product is derived from a natural source like from extracts or oils. Oils could come from fruits, seeds, nuts, vegetables and other plant matter. On the other hand, cleaning products that come from petroleum distillates or crude oils are not “green”, and are dangerous to human health. Environment safe cleaning products takes into primary consideration the effect on a person’s health and safety. Such products should be formulated to promote the health safety in the building’s occupant first. Environmental friendliness of such products is the second priority when formulating the product. 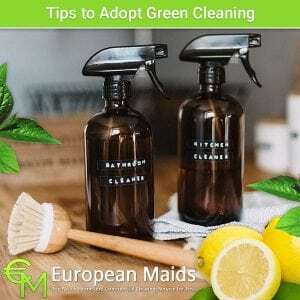 It would tremendously help to the environment if everyone uses green cleaning solution in office and house cleaning. Although there has been a significant progress in using the green cleaning, there is still a long way to go to save the environment. Environment approach is just a step of it, and there’s still more to come.